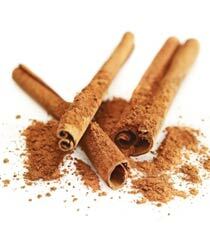 Cinnamon decreases insulin resistance and helps stabilize blood sugar. “How can I lose weight?” is the question that so many are asking. They have been told to eat less, count calories, cut back on fat, and exercise more. These practices have been a struggle to maintain and yet have not produced permanent weight loss. The “good news” answer to the question – which is grounded in understanding how our bodies store or burn fat – is that you can lose weight and keep it off easily by working with your body instead of against it. The “Lose Weight by Controlling Your Hormones” page of this website tells how to control your blood sugar and insulin levels, thus eliminating hunger and allowing your body to burn stored fat as well as the food that you eat. 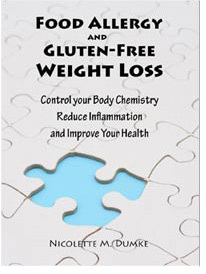 It also explains how the master weight control hormone, leptin, can be restored to normal function and, with reduced body fat, can once again self-regulate your weight at a healthy level. Those of us with food allergies and gluten-intolerance know that we are not all alike and that what we should eat is not one-size-fits-all. The Troubleshooting page will help you individualize and adjust your healthy eating plan for the best weight loss.